If BRD had a prom, what would be a logical date and time to hold it? I mean, I don’t think it’ll be happening until June, but who knows? 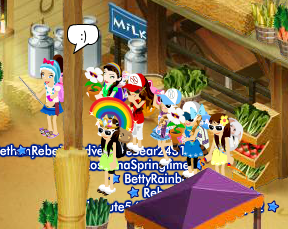 BRD members got in the Bearville Times…again! 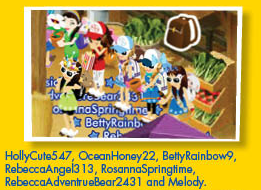 Some members of Bearville Rainy Days, myself included, got in the Bearville Times twice this week! 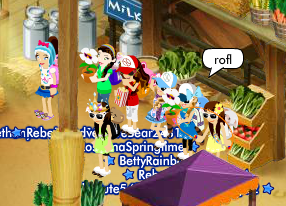 Once in our official forum photoshoot and once in a friend’s photoshoot at the castle! Here’s a list of BRD members in the two pictures! 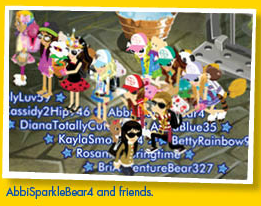 I have no idea who submitted the first picture (comment if it was you and I’ll credit you here), but thanks to AbbiSparkleBear4 for sending the castle photoshoot picture! 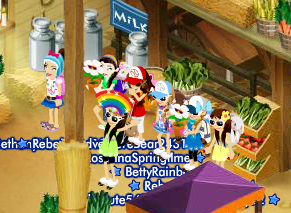 Be sure to join Bearville Rainy Days and/or to tell your friends about it – we always love new members!